No car needed! Authentic, charming villa. South facing. Quiet and discreet location: only 150m from the train, bus, bars and shops / 350m from the beach and restaurants!. 6 Bedrooms / 4 Bathrooms. Sleeps 14 (+ infants): i) 1 master bedroom with extra-large king size bed (180x220cm) and en-suite bathroom with toilet, bath and shower; ii) 1 large bathroom with walk-in shower and toilet; iii) 3rd bathroom with shower and toilet; iv) west-facing bedroom with king size bed (180x200cm); v) panoramic bedroom on first floor with king size bed (180x200cm) + sofa bed + cot (or 2 if requested); vi) panoramic bedroom / TV room with sofa bed on ground floor; vii) bedroom with bunk bed and pull-out bed (3 x 90x200cm); viii) 6th bedroom in studio with king size bed (2 x 90x200cm) + sofa bed and 4th bathroom with shower and toilet. Beautiful location, lovely villa. Fantastic two weeks. Highly recommend. Wonderful holiday was had by everyone. The Villa was exactly what we expected, clean, well equiped, not overlooked,pool is excellent and the view from the Villa and gardens cannot be bettered. Hope to stay there again in the future. The Owners could not be more helpful,the information provided was spot on. A stunning villa in a fantastic location. Fully equipped kitchen. Plenty of sunbeds. Stunning views from terrace. Villa is very airy and light with plenty of space for groups. House clean and ready for our arrival - even though we were earlier than the website stated it was all ready. Very close to railway station so very easy to get to and from airport. Great local supermarkets, bars and restaurants and an easy walk to the beach. The villa was brilliant, everything we needed was provided. Lots of space (big rooms, 3 bathrooms/ shower rooms), a fully equipped kitchen with every utensil you can think of, pool (heated), table tennis, badminton, a nice lawn to play on. 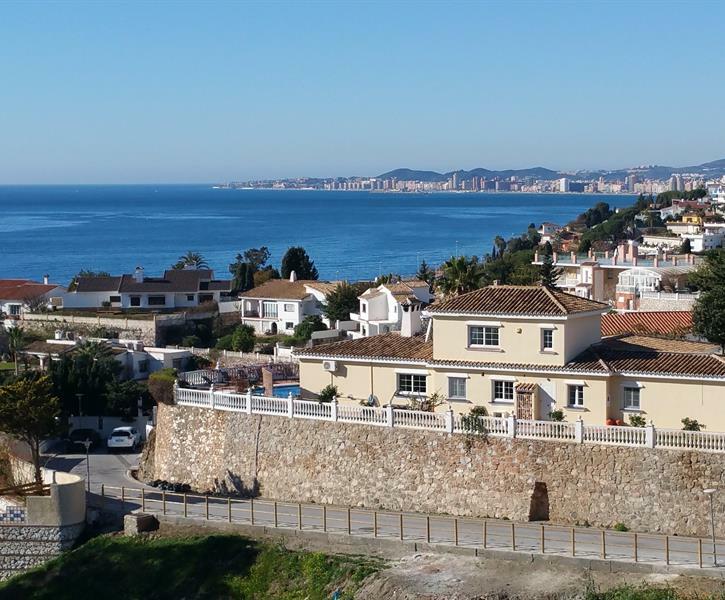 The location of the villa is spot on - next to the train station, which gave us easy links to the airport and other areas such as Fuengirola. There were also local shops if we needed it (we chose to go to the bigger supermarket further away). The area in which the villa is located is very quiet and scenic. We had a wonderful time just having a walk around the area. My mother who has mobility issues found it difficult to walk around the area because it was so hilly but she spent most of the time by the pool so it wasn't a huge problem. I would recommend this villa, the owners are friendly and helpful and the villa has all that you need.